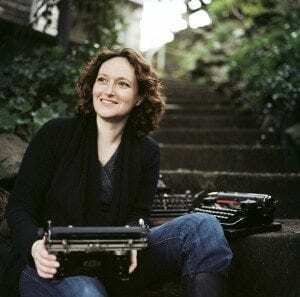 Mary Robinette Kowal is the author of The Glamourist Histories series of fantasy novels. She has received the Campbell Award for Best New Writer, three Hugo awards, and the RT Reviews award for Best Fantasy Novel. Her work has been a finalist for the Hugo, Nebula, and Locus awards. Stories have appeared in Strange Horizons, Asimov’s, and several Year’s Best anthologies as well as in her collections Scenting the Dark and Other Stories, and Word Puppets. Mary, a professional puppeteer and voice actor, has performed for LazyTown (CBS), the Center for Puppetry Arts, Jim Henson Pictures and founded Other Hand Productions. Her designs have garnered two UNIMA-USA Citations of Excellence, the highest award an American puppeteer can achieve. She also records fiction for authors such as Seanan McGuire, Neal Stephenson and John Scalzi.